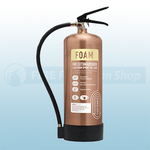 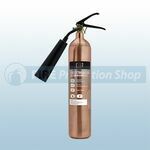 The FireShield Brushed Antique Copper Fire Extinguishers known as the Contempo range offer a combination of Fire Safety but with an elegant look. The Contempo range truly are a high polished finish which are perfect for areas where appearance is important, each Extinguisher is hand finished. 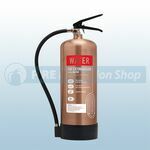 This means you don't have to spoil your Designer Interior with Mandatory Fire Equipment.